2018 was the clubs busiest season yet on the field which meant that that competition was again strong this year for the four statistical based awards. In addition to these NVCC President Rob Bolch, awarded an annual President’s award to a member who has contributed to the club over and above. The winner of the 2018 award was New Zealander, Martin Mackenzie. Mackenzie, a member of the club since its founding in 2012 was honored by Bolch for his substantial behind the scenes work in 2018. The winner of the “All Rounder” of the year award was Indian Karan Grewal, who takes the award for the second year running. Grewal contributed strongly in all three cricketing disciplines – batting, bowling, and fielding – in 2018. Grewal’s numbers for 2018 were: batting – 14 innings for 351 runs with an average of 29.25 runs and a high of 67 runs; in the bowling department, Grewal bowled 86.2 overs at a cost of 361 runs taking 24 wickets with an average of a wicket every 15 balls bowled. In the field, Grewal took 7 catches. The individual awards for batting, bowling, and fielding were won by Indian Sorabh Das, New Zealander Bernie Peacock, and again Das for the fielding award. Das batted 15 innings for 266 runs with an average of 17.73 runs and a high of 55 runs. Peacock bowled 68.1 overs at a cost of 264 runs taking 20 wickets with an average of a wicket every 13.2 balls. Das excelled in the field in 2018 with 8 catches, and he was also involved in 1 run-out. 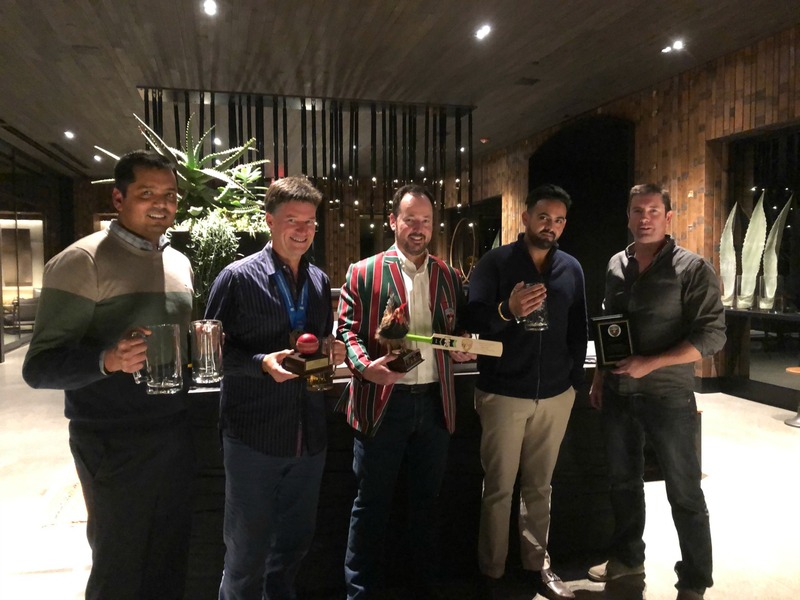 Bolch handed out a number of milestone awards during the evening with Club Captain Bernie Peacock receiving an award for his “Hatrick” (three wickets in consecutive balls) against Marin CC in August. Now that the NVCC is seven years old a number of members have reached other milestones and they were recognized on the night. 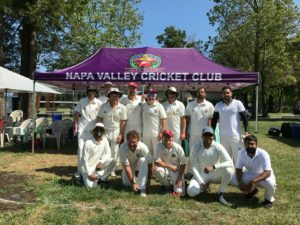 Phil Bourke, Peacock, and Bijoy Ojha have now all played 50 matches for the NVCC while Irishman Andrew Healy marked 2018 by taking his 50th wicket. 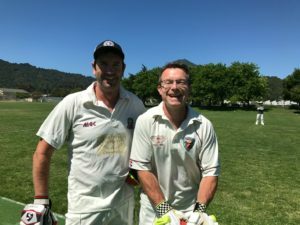 Mackenzie becomes only the second player in the clubs’ history to score more than 1000 runs while Bourke is the first player in the history of the NVCC to pass the 50 catches / stumpings / run-outs milestone. NVCC President Bolch paid tribute on the evening to all of those who have made 2018 such a successful year both on and off the field. 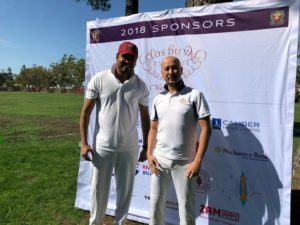 The NVCC toured to Los Angeles early in 2018, playing at the famed Woodley Park, and hosted visiting teams from Malibu and Vancouver, and ran a number of very successful and well attended social events throughout the year. As the awards drew to a close the Life Members of the NVCC – Bourke, Healy, Pete Carson, and Tim Irwin – bestowed life membership on club president Bolch in recognition of the contribution that he made since the foundation of the club.